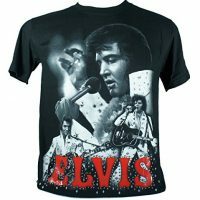 Elvis Presely strikes a dramatic pose in a classic black and white concert still in a huge all-over print graphic complete with signature logo on the front of this black, 100% cotton t-shirt. 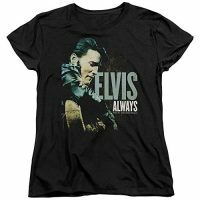 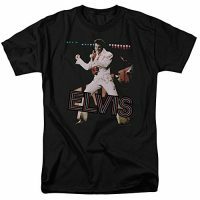 A loud, stylish, officially licensed tee with all the grit and energy that made Elvis the undisputed king of rock n’ roll! 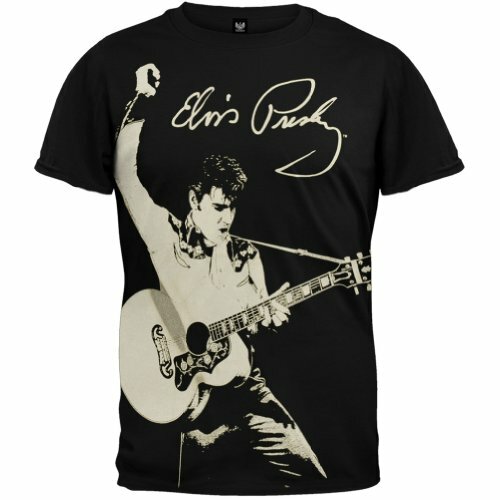 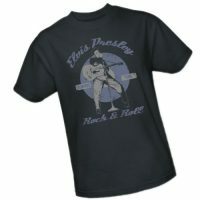 Be the first to review “Elvis Presley – Cowboy Subway T-Shirt” Click here to cancel reply.